If this is your story after being there, trying to complete your masters Assignments on time for a long span, you are in need of a wee bit of advice on what are the secrets of writing the perfect masters assignments. Are you a victim of a vicious circle, trying to come out of a trap which looks like this? If yes, what follows is my advice on the best ever secrets that help you to create masters assignments, you thought you could perhaps never be able to do. Get the unique template of your university and start your work within that template. You may have to learn how to confine yourself within it, but if you do right in the beginning it is much easier than reworking on the assignment all over again at a subsequent stage. The executive summary is nothing different from an elaborate abstract, which is an introduction to what your assignment is all about and what are its key components. Make it as attractive and interesting as you can as the truth is that, eventually most of the readers are going to derive conclusions about the quality of your work by just going through your executive summary. The subsequent chapters should be created such that the transition from one chapter to another is as seamless as possible. You can do that, by aligning your analysis and findings with what existing theories in your field have to say and filling the gap in such a way that your assignment fills it up smoothly and aptly. Lastly, know that the ambition of your assignment is not to bring in a revolution in the world. Rather it is to finish in the given time frame and do a good job of it that makes you fit to get your masters degree in a respectable manner. ​Before submitting your dissertation, it is a good idea to revise your dissertation to ensure that there are no obvious mistakes in it. Paragraph is centred on the title page. No page number is shown. The year of the conferred degree is mentioned. All page numbers are centred at the bottom of the page. No pagination on title page, copyright, and front matter. Preliminary pages use lower-case roman numeral pagination. Main body of the dissertation starts with page no. 1. It must not include entries for the Table of Contents and Copyright sections. Each entry includes the chapter number, chapter title, and page number. No heading should have only a single sub-heading. Spacing exists on top and bottom of each heading. No headings at the bottom of page, unless followed by at least 2 lines of paragraph text. Reference list is in the correct style (Harvard or APA), as approved by the university. Entries in the reference list are ordered alphabetically. Links in all the web references are working. Must be included if there are 5 (or more) tables and figures. Includes tables and figures from all sections, including preface or appendices. Every table and figure are referenced in the body text using a number (example, Table 1 or Figure 1). The alignment of the table and figure title and number is consistent throughout the dissertation. To be included on the same page as the citation. Divided into chapters with chapter numbers. Body text is consistently left-aligned or justified according to the formatting guidelines. No extra space included between paragraphs. No paragraphs at the top (or bottom) of a page with just 2 lines of text. Paragraphs are consistently indented through the dissertation. All numbers below 20 are written in words. All formula expression and equations are italicized. Long dashes do not have space before or after them. This checklist contains general points to check for revision, and does not include check points specific for your university. Writing your dissertation can come across as an extremely unattainable task, but in actuality it is nothing but a piece of writing which requires extensive research, accurate writing skills and an eye for detail. As a professional editor for dissertations, I am enlisting the following tips that will assist you in going about with your dissertation writing. The choice of your topic makes a huge difference to the overall impact of your dissertation. Make sure your topic is intriguing and awakens thought in whoever is aware of it. It must be current, so that it is still an area for further research. You should always have in mind a rough outline of your thesis. The number of sections, matter that each section carries and chapterization plan everything must be predetermined. You should know the logical flow or sequence of your dissertation before you sit to write it. After you know the section plan and chapterization plan, you should know the matter that is being addressed in every paragraph, their order and their number. Each paragraph must begin with the opening idea of the paragraph and end in a concluding or summarizing fashion. This is your time to research as much as you can and as thoroughly as possible to fulfil your dissertation writing. However, you need not read irrelevant material that does not pertain to your research. Instead refer to the cited papers in researches that relate to your topic the most. This is a like a cheat code for literary research. Begin drafting your research paper in a clean and error free manner. Refer to other papers to get inspired for academic language, jargon and style of writing. Make your writing grammatically accurate and avoid sounding repetitive or redundant. ​This is by far the most important part of writing the dissertation. Read your paper repeatedly and look for mistakes in the most critical way possible. The more mistakes you spot at this stage, the lesser will be those pointed out by reviewers and experts. You could also ask someone to read out your paper to you so that you can listen to how correct it sounds. Literature review may seem a mundane section of your assignment, where you need to write about the theories and concepts about the topic, on the contrary it is the backbone of your assignment. It lays down the objective of your research and framework of your dissertation. In order to write an effective literature review, you first need to understand what is a literature review and the basic rules of writing. The literature review is the critical analysis of the concepts, theories and views given by different authors on the subject. While writing the literature review, the goal should be to establish the relevance of these theories to the topic of your assignment. Introduce the research issue or question of your dissertation in the literature review. Write about the various views given by different authors and the trend observed. Compare and contrast between the various theories, bring out their advantages and disadvantages relevant to your topic. ​State the research gap in the previous studies, after a thorough study of the resources. State the criteria and assumption that you are making before critically analyzing the theories. Define the scope of your research. Present the facts in a uniform pattern. Either follow chronological, alphabetical or group theories which support the hypothesis and which oppose it. Remember to summarize and draw conclusions which is relevant to your topic. For easier understanding of the findings, illustrate the differences spotted during the detailed study of the concepts in a table. There are many software available that will assist you in researching and organising your research findings. Literature Management tools like Mendele, Digolet and document management tools like Dropbox and Evernote will enable you to save your research and share it with your co-workers. Beginning of the academic year, you are excited to hear about the research you need to undertake and write a dissertation for your degree. But with time you realize that selecting a topic is very difficult. You are unable to decide whether to choose a topic which has information readily available or a topic which is interesting and never been taken up. Here are some of the tips on how to choose a dissertation topic. When you select a topic for dissertation keep in mind making it interesting. It should make the reader excited and want to read the dissertation. You can pick any topic from your field of study which has not been taken up. The topic that you select for the dissertation should not be repetitive. The idea behind writing a dissertation is to develop your understanding of the theories and concepts to approach a problem statement and suggest recommendations to it. The aim is to pick s topic which shed new light on the work done by others and discuss the concepts with a fresh perspective. The topics should be such that it should be in the scope of the theory and the reader gains knowledge after reading your dissertation. The topic selected should be such that there is no direct yes or no answer to the question, but the dissertation adds information and showcases a new perspective. Thus, your dissertation topics should be such, which has a different perspective and brings new ideas and understanding of what others have done. By following the above guidelines in selecting a topic for dissertation, you will select a topic which adds value to your knowledge as well as the reader of the dissertation and ensure better grades during evaluation. Many students aspire to boost their career graph with a master’s degree or PhD level dissertation. However, it is a complicated and tricky task that it can consume weeks, months and even years to complete the lengthy process of finishing a study proposal. You have to be strict with dissertation guidelines and deadline. If you fail to submit it on time or fail to follow the instructions as provided by professors, you will not get an academic degree for which you have been working so hard since very long. You may think that writing a dissertation is a rigorous task. However, you can simplify the process by accessing the right sources, proper knowledge of writing style and also by getting assistance from experienced scholars. For those who are unable to take the challenge of writing quality thesis should turn to dissertation help service providers in Mumbai. Check out the dissertation service provider in your area (in any part of Mumbai) since it will help you garner information regarding local statistical records and related-news that you may want. This will make things easier and you will know about the source of information instantly. When you choose a provider, consider a few things- if the company is reliable and has a reputation in the market, if it has a rich and potent industrial experience of furnishing the kind of academic writing information and services required by you. Do some research to know if the company/provider is leveraged by a robust team of professional writers who have written successful thesis? Also, verify if they have specialization in the particular subject in which they want to offer dissertation writing solutions. An experienced provider can help you with the right tips for writing style, source of information, scientific approach to be followed for the overall proposal. Besides, you will know how and when to write introduction, conclusion, acknowledgment, bibliography, etc. You have to be precise with source address and statistical readings, and a veteran provider can help you with that. Thus, a professional dissertation service provider is your best friend in this regard. After successfully completing your graduate courses, you may be considering doing your dissertation. Even though you might be thinking that it would be very easy to write your dissertation, it would actually take a lot of time to complete it. Not only that, it would also take a lot of concentration than any other term papers or classes. 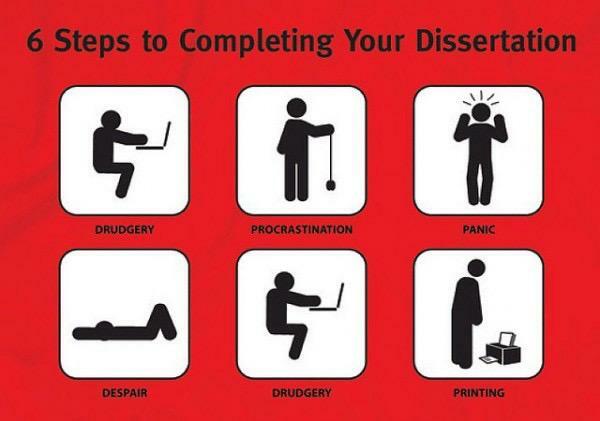 Here is how you can take your dissertation seriously. You should consider taking your dissertation as seriously as you would a new job. Just as a new boss would give you deadlines, you should give yourself a deadline in order to complete your dissertation writing goals. After you have set a deadline for yourself, you should consider the amount of time you would take to complete each individual part of the dissertation. You should write down the amount of time you would take for each task in your calendar. You should also make goals for completing your short term goals first. For instance, you should set the goal of completing each subheading of your dissertation before a set time. You must always have a positive attitude before you can begin writing your dissertation. While making major changes in your life, you must never forget that you have a serious commitment to fulfil. For instance, if your friends come and invite you to a party, you should consider what effect it would have on your dissertation. Similarly, do not take up any new or major commitment other than your dissertation since it will otherwise affect your ability to complete it. Finally, do not anything that would put a major obstacle in the way of your dissertation. For instance, never procrastinate or keep delaying your writing task just because you have some other commitment. Also, do not distract yourself from the research work that you are trying to complete. If you are a college goer, then you might be able to understand the stresses and pressures of daily routines. You would need to prepare yourself to be able to present your assignments, dissertation, dissertation critique, etc. within a short span of time. This can even frustrate you since it can be tough to do so at such short notice. Here are some points you would need to remember while writing a critique of your dissertation. You need to focus a lot, use some of your own knowledge and gather enough resources while writing a dissertation critique. College deadlines might pressurize you to do well in a short span of time. You might want to consider using an extra hand to help you write your dissertation critique. Lately, a lot of options have sprung up, which can prove to be really helpful for you. Dissertation critique writing professionals can help you complete your assignment on time. They can also help you by imparting knowledge on the various elements of the critique involved. You should analyze your own write-ups so that you would be able to understand as to how to critique your dissertation. However, before you can begin writing a critique of your research work, you should understand what your dissertation is all about. If you are considering giving your dissertation for critique to the others for writing, you should know each and every aspect of your dissertation yourself. You should also understand and analyze the literature included by you and also the research methods that have been used by you in your dissertation. This will help you write a critique of your dissertation both successfully as well as effectively. You should also understand the format of your dissertation before writing the critique. Be defined – Lengthy titles never captivate readers rather it infuriates them in the first glimpse of the dissertation, which spoils the mood and feel of reading further. Hence, keep your dissertation title short yet complete. Be insightful – Title of the dissertation is its face, hence it has to be reflective enough so that readers can get glued towards your write-up just by reading the title and gets the zest of the dissertation. Be in your area of concern – Choosing a reflective topic doesn’t mean that you need to move out of your concerned area. You can limit your scope within your stronger circle and can decide a title within that. This will not only boost up your focus and confidence in your dissertation, but also will help you in adding some out of boundary points in it. Moreover, as you will be working on your strong points you can also include some pioneering and entirely different ideas which have never ever mentioned earlier and this will of course act as a value adding points for your dissertation. Be in the safe zone – Selecting a title from the ground where ample of backups are available for the reference purpose can help you in getting a good amount of knowledge and data bank. Thus, you can write a gleeful dissertation title by following above tips.